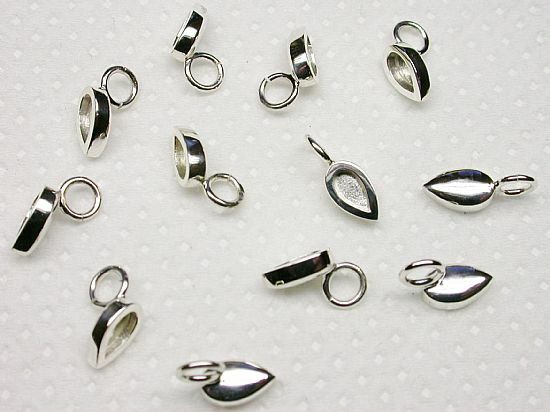 These photographs show some of the various stages of manufacture, of a piece of Jewellery. A lot of work goes in to every piece. 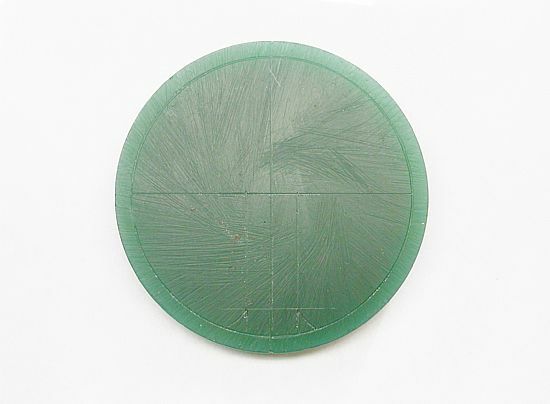 Usually a Drawing or Sketch is produced. ( but not always). This can be an accurate life size drawing with exact measurements and scale, or a quick sketch on a notebook ,or even sometimes on the back of a fag packet or beer mat. Depending on the customer and where you happen to be when the piece is thought of and discussed first. With this Job, the leaves are articulated (moving) and have to have Autumn colours. The leaves therefore have to be recessed to hold the enamel. 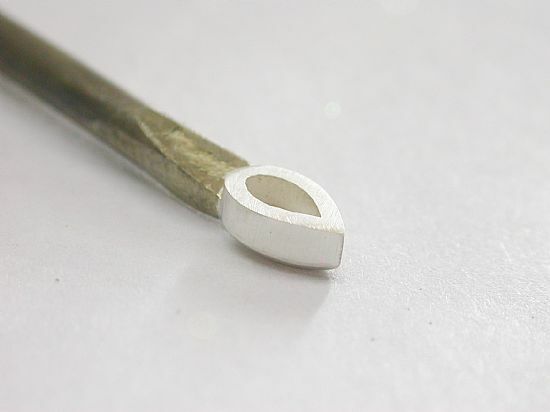 A master pattern is made, which a mould is made from, then wax leaves from that are produced, which are then used in the lost wax casting process, to make the rough castings in Sterling Silver. 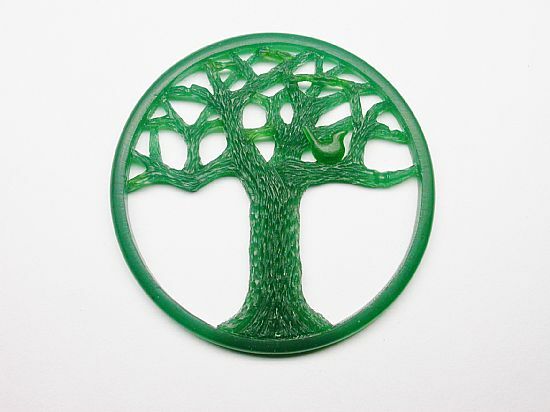 Meanwhile design for the Tree is started by marking out the design on the wax. Once the design has been marked out, holes are drilled for the Piercing saw, to cut out the spaces between the branches. 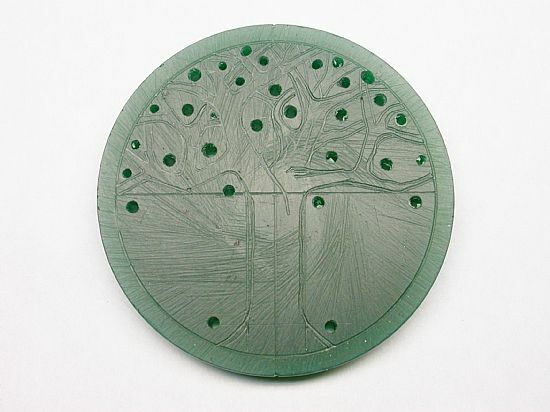 When the gaps have been pierced, the Tree is finished using a Scalpel blade, then a setting burr in a pendant motor (hand held drill) to make the tree bark effect. The bird was carved separately then added to the branch using a wax gun, which is not as dangerous as it sounds, it is actually just a small soldering iron. 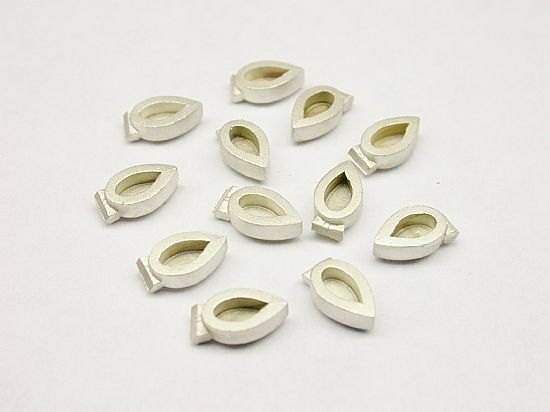 Using the Lost Wax Casting Process (it's a complicated process, too long to go into here, but can be looked up. Sorry !) 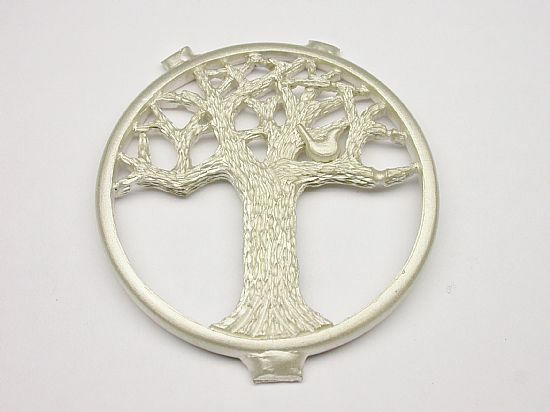 the rough casting of the tree is produced in Sterling Silver, then sent to the Assay office in Edinburgh, for Hallmarking. The castings are filed up and emery papered. 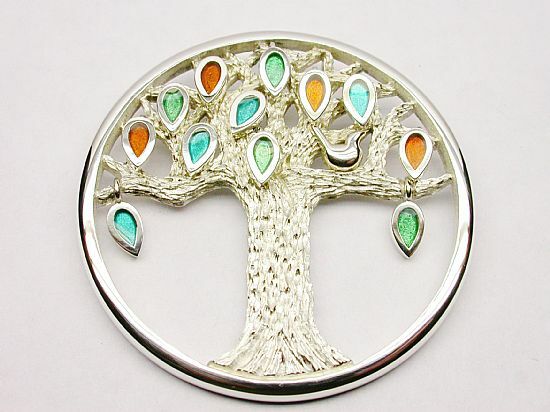 The rings are soldered on to hang them from the tree. Some care had to be taken in the positioning of the rings, so that the finished leaves would hang down correctly. 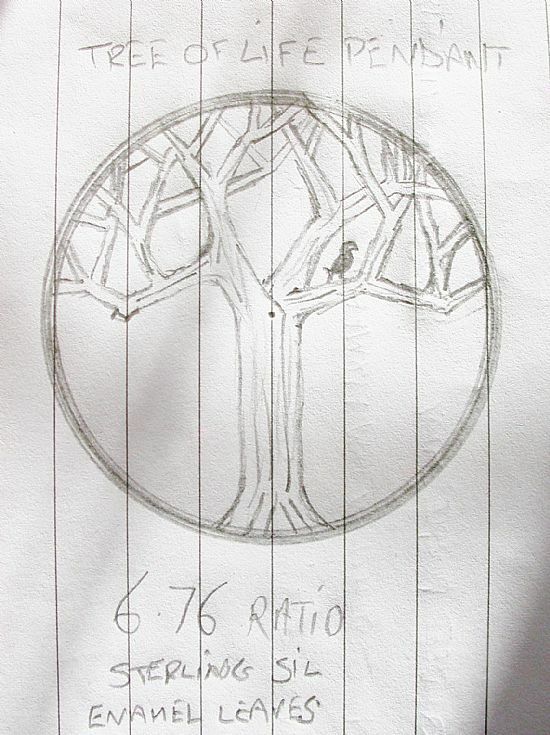 The positioning of the leaves was worked out on the wax of the tree . 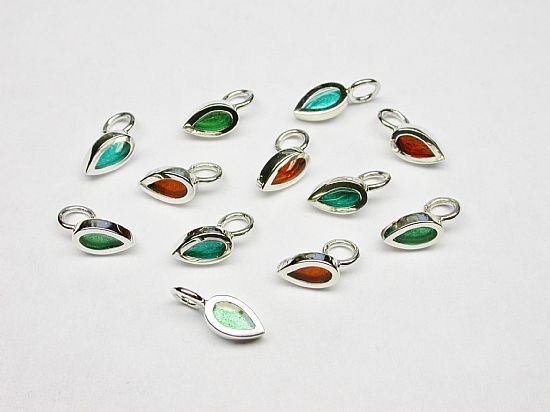 Colours are added to the leaves, using a cold enamel process. 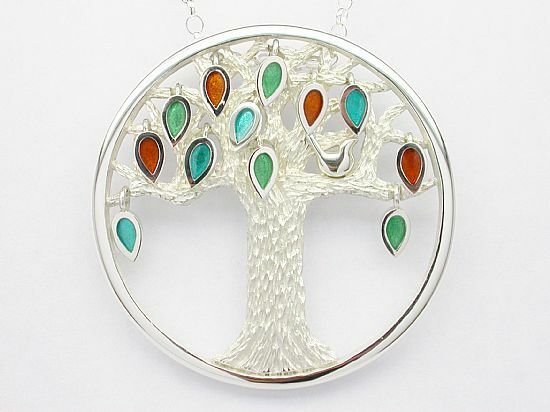 In this case the colours had to match the design of a tree of life , on a carpet owned by the customer. 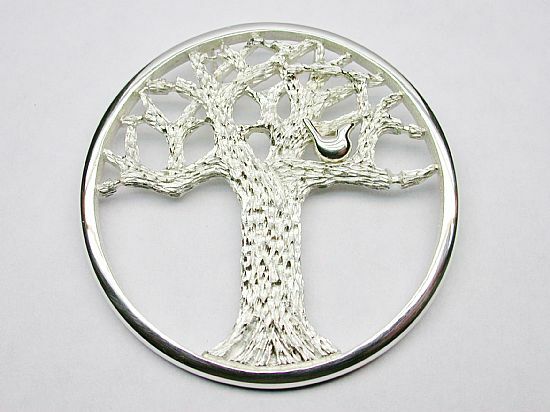 Now the tree returned from Hallmarking, has two loops soldered to the back for the chain. It is filed up, emery papered, polished and finished with a burr. 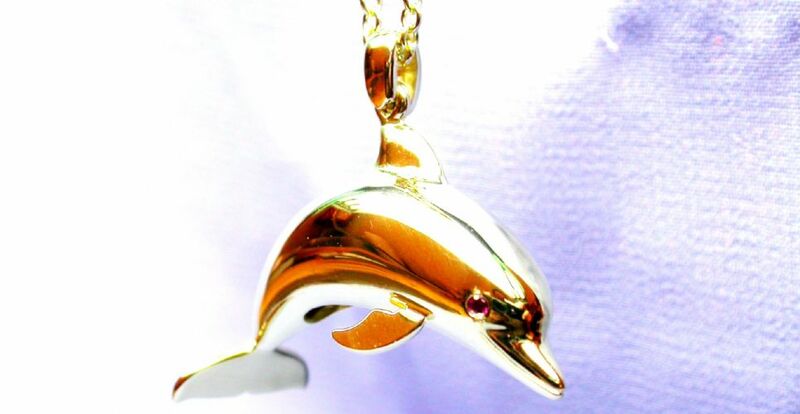 The Pendant is hung on the Chain to finish.